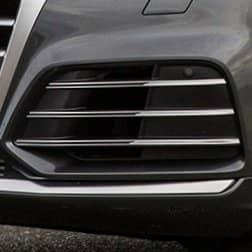 SQ5 bumper grilles with chrome trims for your S-Line model. Grilles features a satin black grille with chrome trims. *Note that these are only for S-Line models.